Tommy Hanson, Joe Blanton, Mike Trout, Howie Kendrick, Ryan Madson, Jered Weaver, Ernesto Frieri, C.J. Wilson, Chris Iannetta, Erick Aybar and Jason Vargas. 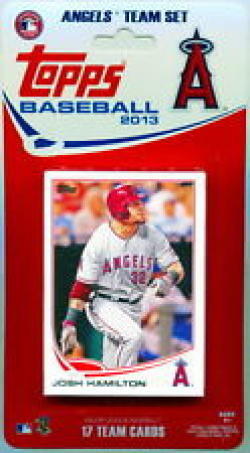 Set also includes a card featuring Angel Stadium.